Welcome to the real World. Though the UK new car market isn’t entirely free, free-market supply and demand still applies. Where supply exceeds demand, prices can and should be cheap. But where demand exceeds supply you can easily find yourself paying £5,000 over list to get the car you want right now. The Lion Kings are now fitting their ageing but still pretty 106 Independence with standard power steering, from a reasonable £6,495 for the 1.1. A sunroof costs an extra £170, and a passenger airbag an extra £210. 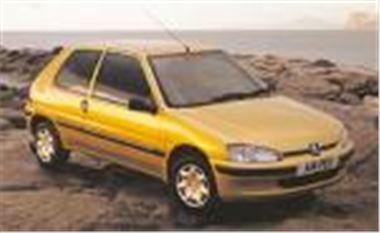 Toledo TDI 110S saloons with metallic paint, a/c, 8-speaker CD/radio, split folding rear seats, height and reach adjustable steering wheel, height adjustable front seats, electric front widows, driver’s airbag, switchable passenger airbag, front seatbelt pretensioners, five lap/diagonal seatbelts and remote central locking with immobiliser. 54.3mpog combined and 140g/km CO2. Colour choice is Flash Red or Arctic Grey solid; or Techno Grey, Sovereign Red, Lava Grey, Eclipse Blue, Merlin Green, Niebla Gold or Black Magic metallic. £12,995 including first registration tax, 12 months VED and SEAT’s three-year 60,000 mile warranty plus 12 year body warranty. New MINI Coopers from £12,028 to £14,314 according to spec. For £14,314 you get a Cooper with heated wing mirrors and washers, a/c, sports front seats, leather steering wheel, on-board computer, remote control alarm, Sports Suspension Plus, halogen front fog lamps, electric panoramic glass sunroof, leather upholstery and chrome bumper inserts. Delivery is quoted at "within 4 months".